Childrens Cadet Parade shoe for ATC. These shoes are at a very low price Note- these shoes are one size widths and fit 99% of our customers. They do not come in width sizes. 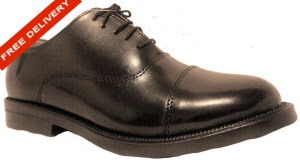 Cadet parade shoes for Males.